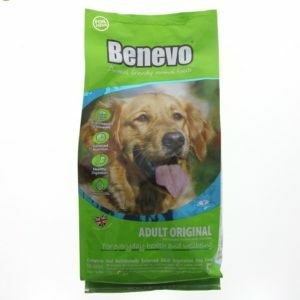 Benevo Vegan Vegetarian Dog Food. 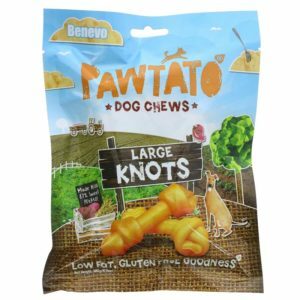 The rich, naturally vegetarian ingredients combined with the aroma of brewers yeast ensures a very palatable meal. 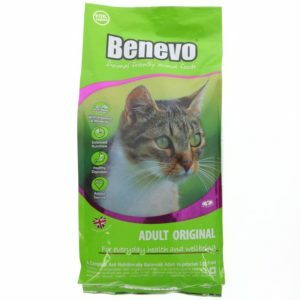 Benevo adult cat is a nutritionally complete and balanced vegan food for adult cats. Launched in 2005 it features a completely animal-free recipe with no gm ingredients, artificial flavours or colours. 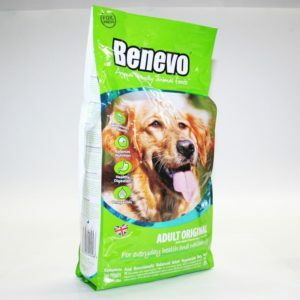 It contains a non-animal source of taurine, omega 3 & 6, added nutritional spirulina, a prebiotic fos to aid digestion and yucca extract to help with odours. 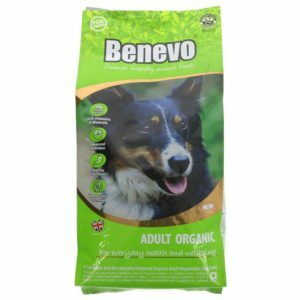 Benevo adult organic is a nutritionally complete and balanced organic food for adult dogs. This is a completely animal-free, wheat-free recipe. 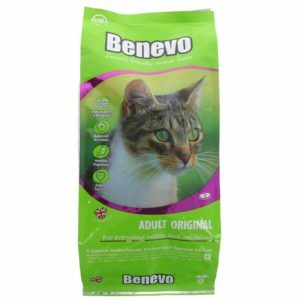 No gm ingredients, artificial flavours or colours and contains a prebiotic fos to aid digestion, omega 3 & 6 and yucca extract to help with odours. 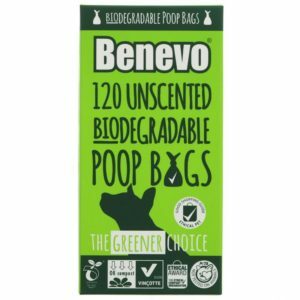 This product is Organic and is Vegan. 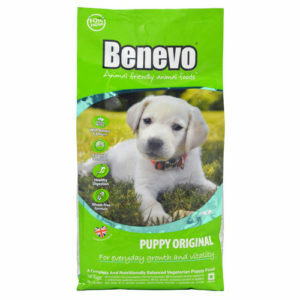 A nutritionally complete moist vegan pet food suitable for dogs and cats. 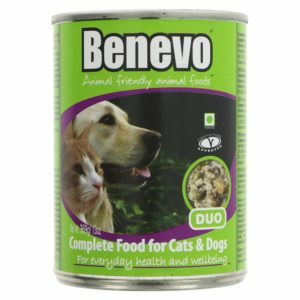 Benevo Duo vegan dog and cat food contains no meat or meat-derivatives, and provides a nutritionally complete and balanced diet for your cat or dog. Essential amino acids, such as Taurine, are provided from vegan sources.